Q) What is the function of the Asian Outreach North America? A) We are one of many AO offices around the world. 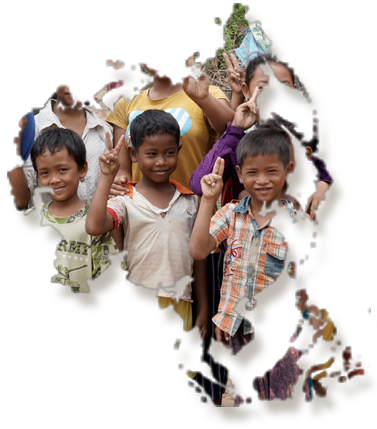 Our purpose is to raise awareness of AO projects and opportunities to serve across Asia. We believe there are concerned people who will respond when they are challenged by the needs in Asia and understand the work we are involved in. All fundraising by Asian Outreach directly supports Asian Outreach national offices and their projects. Q) What are our core values? A) Cultivation of National Leadership – We believe those who know the language, the culture and the physical environment of each project are ready-­‐made to work within their national context. Our long term goal is to search for, train, and develop national leadership to carry out the work in their nations. Development of Indigenous Programs – Asia is extremely diverse. Rather than impose projects from the outside, Asian Outreach North America & Asian Outreach Canada seeks to establish programs that meet actual, local needs. Working alongside our national leaders and other country offices, we develop a project with specific goals, a timeline, and a reporting system. Encouragement of Asian Support We encourage the Asian church and local supporters to contribute to local projects as well as assist in effectively expanding projects in other areas. Networking – Asian Outreach believes in working with others to see great things accomplished in Asia. Where possible we will work alongside local churches and other organizations, offering our specific skills and strengths to serve in any way we can. Promoting Accountability – We are accountable to our donors and our Board of Directors. Asian Outreach Canada is a registered charity with the Canada Revenue Agency #12729 0005 RR0001. AO USA is a registered 501(c) 3 charity. Q) What countries are we currently working in? A) Although we focus on a few specific countries, AO is involved in many parts of Asia. AO currently works directly in or has partnerships in Burma (Myanmar), Cambodia, China, Hong Kong, Macau, Mongolia, Philippines, Pakistan, Thailand, Vietnam, North India, Nepal, Sikkim, Bhutan and Malaysia. Q) How can you get involved with Asian Outreach? A) In our country sections of this web site you can find a variety of ways to support and join the Asian Outreach team. Whether through financial support or as a volunteer, your contribution will make a difference in Asia and will bring us closer to reaching our project goals.